Varicose veins, a condition marked by protruding veins commonly in the legs and feet, are often caused by pregnancy, aging or the weakening of blood vessels due to various causes. 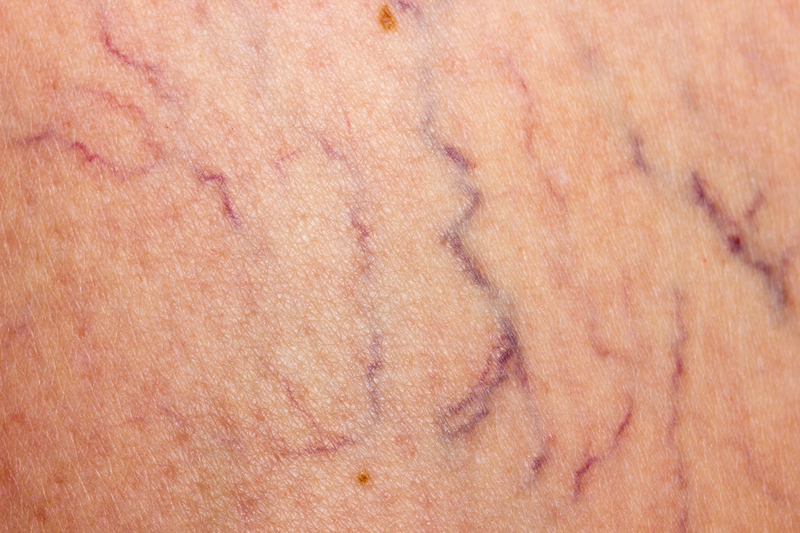 Many people have a misconception that this condition is cosmetic and ultimately not very harmful, but new research suggests that varicose veins might play a role in the development of dangerous blood clots (deep vein thrombosis) and other venous conditions. Varicose veins affect a huge percentage of the American adult population—around 23 percent, to be precise. Unlike other major venous conditions like deep venous thrombosis or pulmonary embolisms, varicose veins may not have been viewed as a serious health risk. This study, led by Dr. Shyueluen Chang of Chang Gung Memorial Hospital in Taiwan, used insurance claims data for Taiwan throughout a 14-year period, beginning in January 2001. The study focused on two subject groups: people with varicose veins, and people without them. There were over 200,000 patients in each group—about 70 percent of people in each group were women an average age of 55. By the end of the study, patients with varicose veins were shown to have about five times greater risk of developing deep vein thrombosis than the patients without varicose veins. They were roughly twice as likely of developing peripheral artery disease or a pulmonary embolism compared to people who did not have varicose veins. The authors did note that there were some limitations to the study. They couldn’t control for things like smoking or other behaviors that might also affect blood clots and other venous diseases, and they may have run into classification issues. However, the final results were clear: patients with varicose veins should be monitored more closely for early evaluation of other possible health outcomes, particularly for deep vein thrombosis. As more research has been done in this area, it’s become clear that inflammation is also an important piece of this puzzle. It can play a role in deep vein thrombosis, pulmonary embolisms, strokes and heart attacks. More research is needed in all these areas to confirm specifics, but it seems clear that these areas are worth a closer look when it comes to venous health. Your vein specialist can offer further recommendations when it comes to varicose veins and your risk of additional vascular issues.